First built for the Southern Pacific in 1909 to tame its tough western grades, the 2-8-8-2 articulated Mallet soon caught the attention of roads facing similar problems. In 1910, Norfolk and Western ordered five 2-8-8-2s (Class Y-1) similar to the SP models from Baldwin. By 1918, lessons learned from the first group led to an improved version, the Y-2; with minor changes to the cylinders, these became Class Y-2a, which served as the basis for the United States Railway Administration (USRA) 2-8-8-2. Although delivered too late for the war effort, the N&W received 50 of the USRA engines in 1919, which it classified as Y-3. In 1923 another 30 were ordered with larger tenders (Y-3a), followed by 10 more in 1927 fitted with feedwater heaters. During World War II, several Y-3s were sold to various western railroads that were desperate to ease motive power shortages. Although well suited to coal-hauling duties in the Appalachians, the big articulateds proved too slow for most of their new owners and they were retired or sold following the war. At home, Y-3s remained in service until 1958. 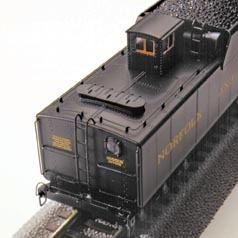 **Sound can be operated with standard DC power pack or DCC controllers. 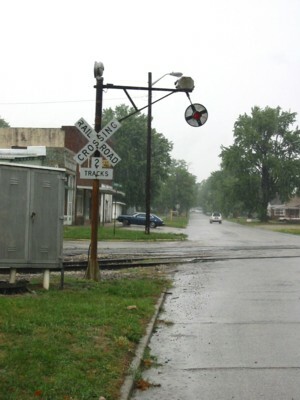 and Trailer to mute whistle and bell for double heading. The first ever HERITAGE Steam Locomotive, this museum-quality piece took two years & over 14,000 man-hours to develop. Working closely with each historical society, PROTO 2000 engineers traveled the country, gathering the necessary measurements, documents and photos to reproduce the engine exactly -- with a different design appropriate for each of the 4 road numbers offered. Back at the drawing board, they started with a blank page, and designed the model of their dreams piece by detailed piece. 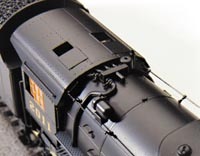 The result: a locomotive to exceed all expectations -- the most meticulously detailed, best-running injection-molded steam locomotive EVER produced - by ANYONE. Click on any photo below to see full size version.